People Don’t See What YOU See? Really? I’ll never forget how I felt the day I joined my first network marketing company. I mean, you’d have to be an idiot not to, right?! All you have to do is join the business, get a few customers, and get the people you know to sign up and do the same thing. I remember imagining how if everybody would just listen to me (and join), then everybody would get rich. Incidentally, that is true. But here’s the rub (which took me years to learn and grasp): Not everybody sees what you see. 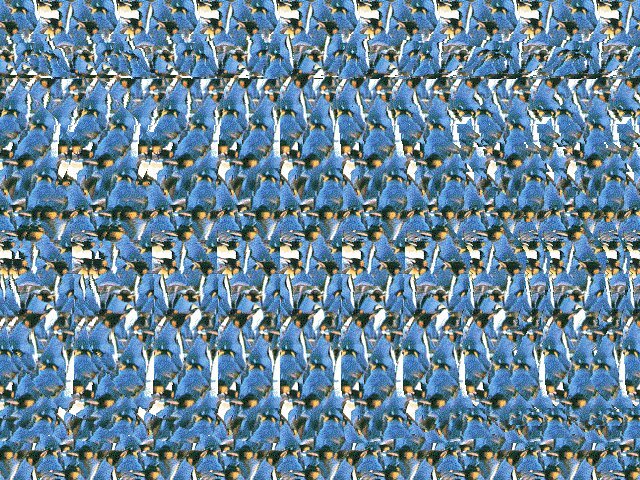 Remember those “Magic Eye” posters back in the late 80’s. The premise was to stare at this mass of colors and squiggly lines and a 3D image would present itself. I remember being instructed to stand three feet away and try to stare “through” the back of the poster. I was the kid who could never see it. I wanted to see it. In fact, I wanted badly to see it. I just couldn’t. After a while I just stopped trying. I believe that’s the same thing that happens in a network marketing business to some degree. Some people just can’t see it. Many times they want to. Other times, they’ll even join hoping that eventually they’ll be able to. But eventually, like me with the Magic Eye, they just stop trying. Let’s take sports. How about the Super Bowl? Go to the mall and ask 100 people what they think about the Super Bowl. It will be laughable. Jay Leno takes to the streets and asks questions like “Who is the vice president of the United States?” Guess what happens? Yep, 30 get it right, 30 get it wrong, 30 have no idea, and 10 will be complete space shots! Armed with this knowledge, it’s reasonable to assume that if you were to present your network marketing idea to ten people (and most new network marketers softly present it to only two or three), there would be three people who violently oppose which will discourage the average person. There’s also going to be one clueless person who really gets you scratching your head, and three more who don’t have an opinion yet. With those three, your own personal presentation skills must come into play. So for the new network marketer – only three of ten will give you a favorable response, and they might be numbers eight, nine, and ten. Most don’t get that far. It’s natural to become frustrated when people have different opinions than you. But as you go out in pursuit of your network marketing dream, understand that not everybody is going to see it like you see it. Even if they want to. If you want to be “above the law” the go present to 100.